I am submitting a talk to this year’s YAPC::NA. It’s a talk I’ve given a couple of times, and has been well received. The submission form wants a URL for the abstract, and this was the most straightforward way I could think of to put it up. Feedback is welcome, even if the talk itself is not accepted. Perl has a long history, and began as a portable Unix program, as many were at the time. Perl scripts were often fairly Unix independent with trivial effort. Windows and Mac joined the family over time, and thanks to great efforts on the part of the language itself, Perl scripts remained fairly system independent. Perl provides many of the tools to make this easier as built in features, and others are hiding in CPAN. This talk is a discussion of the history of Perl on multiple platforms, some of the common pitfalls working on multiple platforms, and suggestions for tools and techniques to make writing Perl scripts that run on more than one platform. The talk can be tailored to be either 50 minute or 110 minute talk, as space allows. The 110 minute version contains more history and examples, shown on several platforms. Slides and example code from prior talks are available on Github. 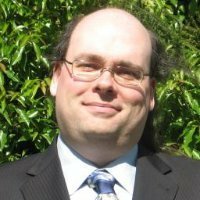 Lou Erickson began his work with Perl on Windows in 1998, and has worked extensively with it on Windows, and Unixish, and some on the Mac. Today, he writes large-scale systems in Perl for NVIDIA, runs his mouth on his blog, and gives the occasional talk at this local Perl User’s Group. This entry was posted on Thursday, February 26th, 2015 at 2:38 pm	and is filed under Perl. You can follow any responses to this entry through the RSS 2.0 feed. You can leave a response, or trackback from your own site. Global symbol “$location” requires explicit package name at -e line 1. So noted, and updated. Thanks!